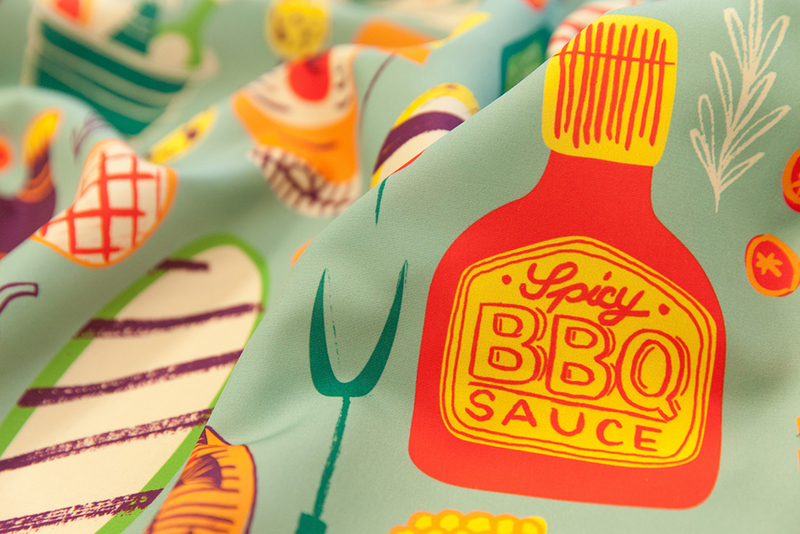 Fire up the grill because for this week’s Summer Cookout Design Challenge, we’re celebrating our favorite way to spend sunny afternoons—at a backyard barbecue with friends. After viewing the top 25 collection featuring favorites such as burgers, grilled veggies, hotdogs and even ice cream, we’re all a little hungry for the arrival of warm weather. 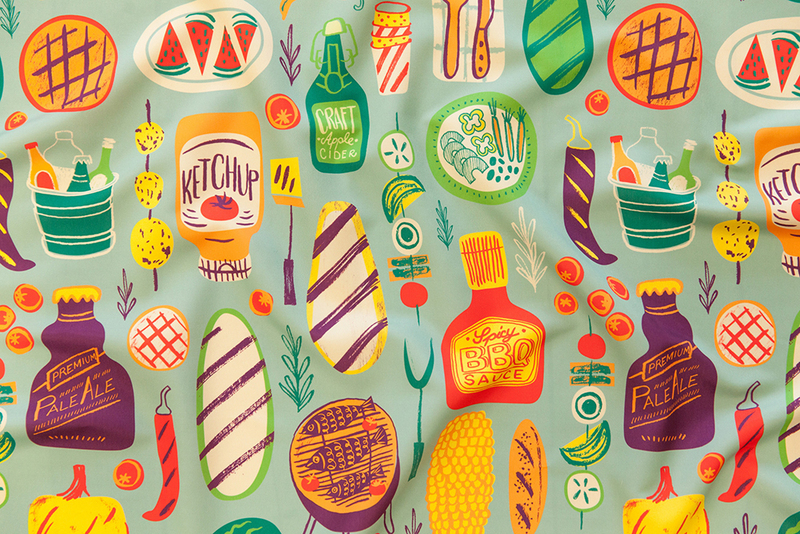 Today we’re celebrating grill-master and grand prize winner lebski, who will be receiving a $200 Spoonflower credit for her design, Summer in the Garden. 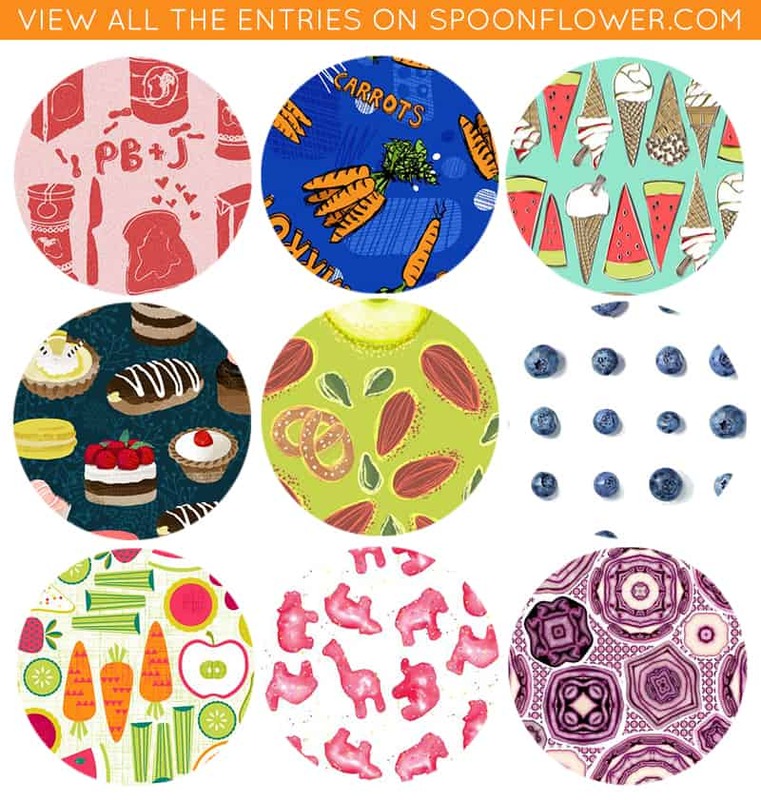 Equally as sizzlin’ are second place (gnoppoletta) and third place (jenimp) winners who will be receiving $100 and $50 in Spoonflower credit, respectively. View the entire top ten and be inspired to plan your own summer cookout! Who knew sushi could have so much charming personality? 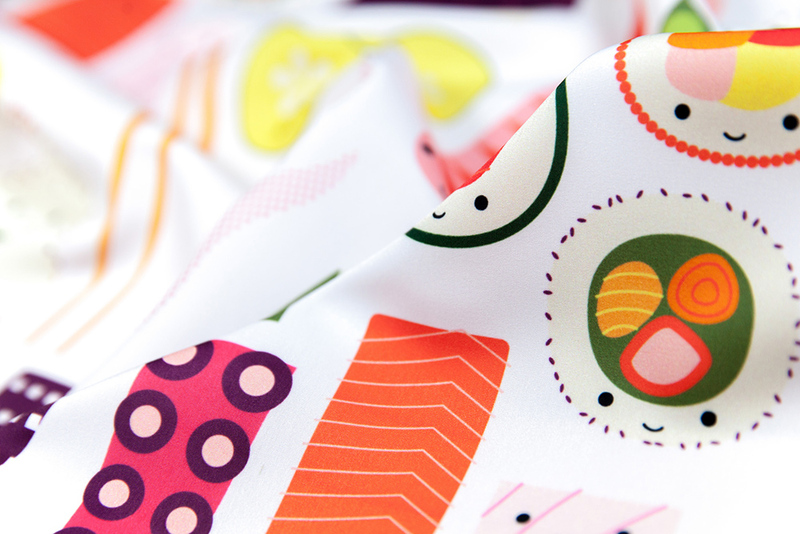 In the context of Japanese culture, the word kawaii means cuteness, and for this week’s Kawaii Sushi design challenge adorable charm is exactly what you get. 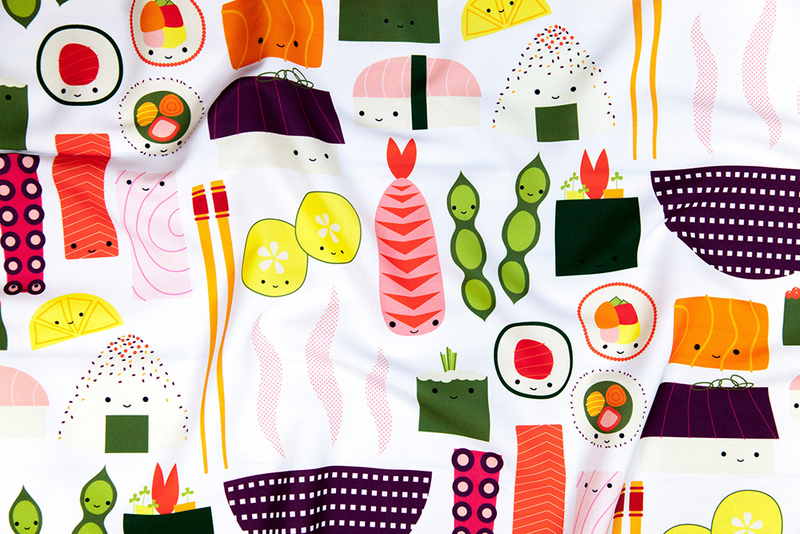 We’re rolling out a round of applause for grand prize winner, katerhees who will be receiving a $200 Spoonflower credit for her design, HappySushi. We also want to congratulate second place (susan_polston) and third place (penguinhouse) winners who will be receiving $100 and $50 in Spoonflower credit, respectively. For more kawaii sushi designs that are just too cute to eat, check out the entire top ten. Vote on your Favorite After School Snack Designs! Do you like savory or sweet? Crunchy or chewy? When it comes time to hit the snack cabinet, you’ve got to grab what hits the spot. Browse our selection of After School Snack designs and pick out your favorites!